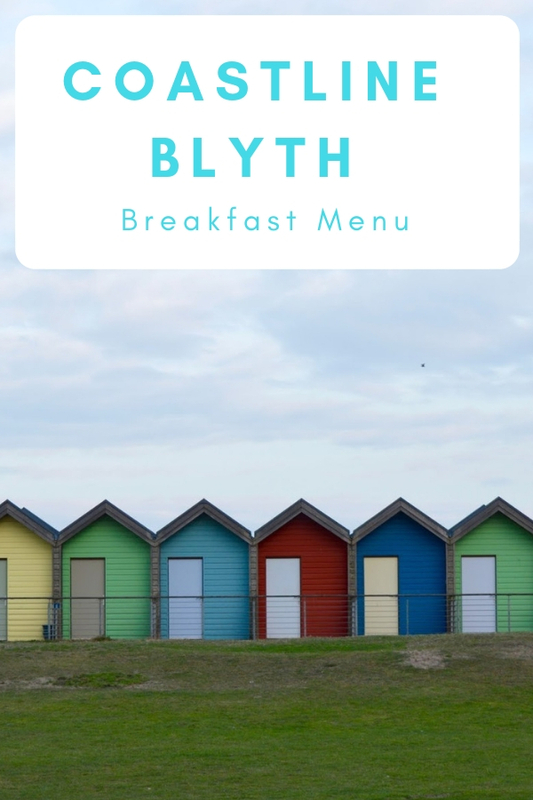 When I think of Blyth beach I think of the beach huts and some of the best fish n chips in the North East. But it turns out out that Coastline, the chippy at South Beach also serves breakfast. Mrs. Cool had been told the breakfast were pretty good and at a reasonable price so we decided to check it out. Mrs. 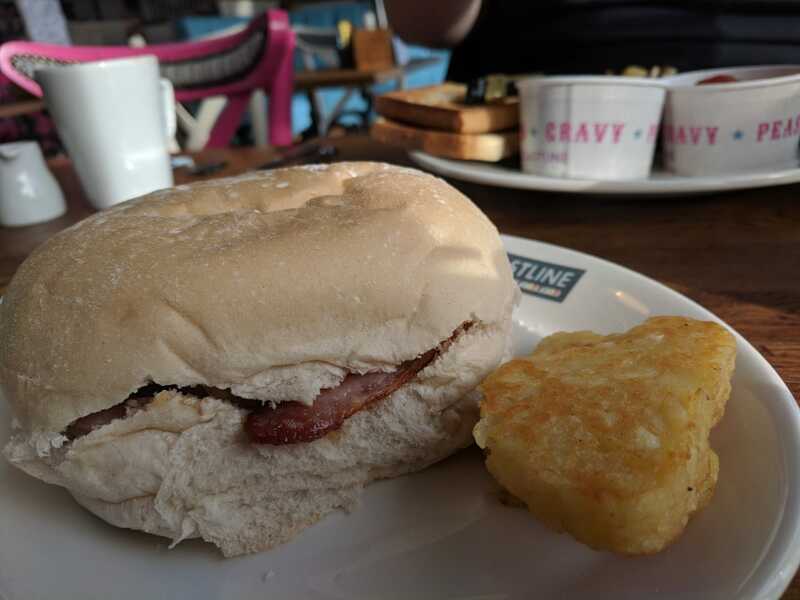 Cool can't handle a Full English (wimp) so she went for a bacon sandwich with side of hash browns. She said the bacon was crispy nice just like she likes it and the bun was nice a soft too. She did say, however, next time she will order extra bacon as the bun was bit big for the 2 slices she got. A Full English was always on the cards for me. 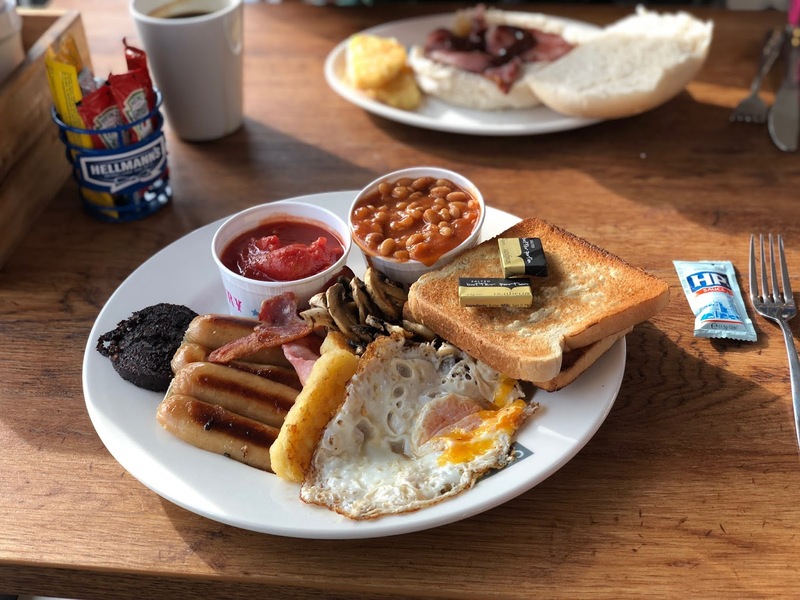 You need a big appetite as you get 2 sausage, 2 rashers of bacon, 2 slices of black pudding, 2 hash browns, a fried egg, mushrooms, beans, plumb tomato and 2 slices of toast. 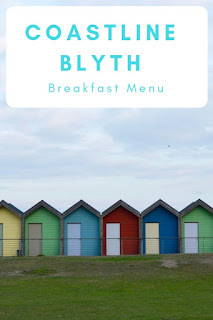 The highlights here are the bacon and black pudding (always a winner for me), I'm not a big fan of hash browns anyway and these were a bit disappointing but that was my only criticism. We each had a cup of coffee with breakfast which was nice and strong as it was Lavazza which is one of our favourites. All together our bill only came to £15 which I think is very good for both the portion size and the quality. Looks SO good! I always love the idea of a big fry up but I have to admit it doesn't sit too well on my tummy an hour or so later so I tend to wimp out too! This one nearly beat me.